Altimeter Fellow Deb Schultz is increasingly frustrated with the way we talk about human behavior on the web. Deb is a “practical utopian”; she has a strong idealistic streak, but she also understands the realities of human behavior, especially as it expresses itself in the digital world. Today, at South By Southwest 2011, Schultz is covering the new social ethics of the web. It’s a highly engaged crowd from the start, and Deb begins by asking why everyone is here. Some of the responses: “How should brands behave on the web?” “Why are people so mean on YouTube?” “Do I need to respond to people’s comments?” The group’s questions and the dialog on the web betray a deep discomfort with the new rules of digital behavior. The Wikileaks phenomenon calls into question many of our expectations about rules of privacy, secrecy and transparency. At the same time, the Charlie Sheen phenomenon raises the question of what exactly is our responsibility to the individual: is this entertainment or tragedy? In the past, society had a clear set of rules for behavior, Schultz says. Today, we are interpreting and creating these online behaviors simultaneously, though some of the dynamics underlying these behaviors are not actually new at all. Back in Jane Austen’s London, for example, people wrote letters, which were delivered throughout the day by servants. While the letters themselves might have been secret, there were clear norms around what could be known about them. Servants were instructed to describe the recipient’s reaction: was she happy? was she crying? That, Schultz points out, was the “metadata” around those letters. Yet these rules were generally understood. What they lacked–which the web grants–was persistence, which creates many of the conflicts we see today. The Golden Rule, or the law of reciprocity (do unto others as you would have them do unto you), is shared among 13 religions. As recently as 2002, it was adopted by the Human Rights Commission as a standard for behavior. The Social Contract. 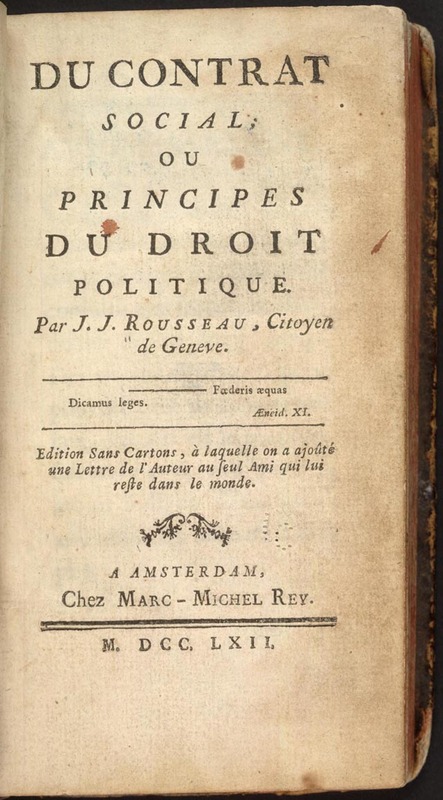 Written by Rousseau, the social contract says that we as a society must agree about how we will behave. “The” Public Sphere. What is our sense of what is public and private? It used to be a binary decision. Yet the web has created a spectrum of privacy, from totally public to totally private. So what exactly is going on today? Schultz sees new norms developing in three separate streams. First, there is evolving behavior. Did you know that the best way to hear the beat of the human heart is actually to put your ear to someone’s chest? So the stethoscope was invented because it was (and is) socially inappropriate for doctors to put their ears to a patient’s chest. Emerging social behavior comes into being when technologies create new behaviors to which we must adapt. Contested norms are those about which people disagree. All are on a spectrum, all can overlap. So how can be address these evolving norms? With technology, with design, with policy, with human adaptations. What we need, Schultz argues, is a new social contract. You can find out more about Deb Schultz here, or watch her at Tummelvision.tv. Hi! We met at Altimeter’s grand opening party in 2009. I am glad you have approached the topic of manners on the internet and social web. I will be speaking to the topic tomorrow at the American Leadership Conference, http://www.americanla.org where 135 college undergraduate men are attending.